From bar bites to signature local fares, desserts to signature cocktails coupled with live entertainment such as celebrity DJs spinning their ambient grooves and popular bands performing their music gigs, KPO Cafe Bar is something of a one-stop dining and nightlife destination. Located at the junction of three major city arteries – Killiney Road, Oxley Road and Penang Road, the stylish KPO Cafe Bar is just a stone throw from Singapore’s tallest vertical mall Orchard Central and many other exciting spots around the Somerset area, where you can take a break from shopping, send some postcards to your friends and enjoy some relaxing drinks. KPO Cafe Bar boasts a clean, industrial urban look in mind, starting with the postwar facade, the four-sided bar counters, the trapezoid glass box, outdoor terraces and the private areas, every guests coming to the cafe-bar will definitely immerse in the epitome of KPO‘s beauty. The 5,500 sq ft multi-level cafe-bar resembles a greenhouse by day and takes on a different mood by night featuring some of city’s best musicians and DJs put on their performances from time to time. 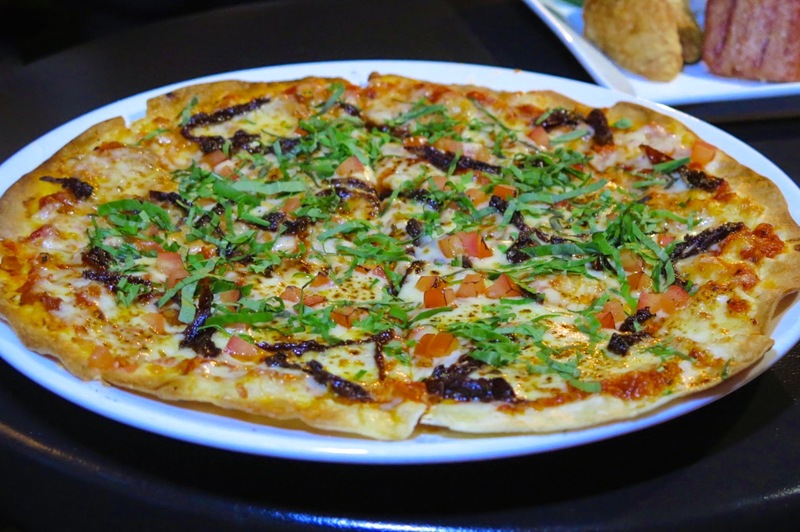 The KPO food menu offers the local likes of Hokkien Mee ($16), Nasi Lemak ($17), Sir Roti John ($17) and Satay ($18), but do expect a wide range of mains and sharing plates such as Steak Sandwich ($18), Fish and Chips ($24), Steak and Eggs ($27), Pizzas ($24-$28) and a selection of tantalising snacks. Enjoy top-shelf craft beers like Erdinger, Strongbow, Kilkenny and a range of house-pour spirits, aperitifs, bottled beers and signature cocktails with a modest view of the city. Standout and authentic local dishes include KPO‘s famous Hokkien Mee ($16) fried in a rich and creamy prawn broth that has been simmered for hours and served with fresh prawns, squids and crispy pork lard for added flavours; the second big thing at KPO is their traditional Nasi Lemak ($17) which regularly received positive reviews. The local dish comprises rice made from coconut milk and pandan leaves, served with sambal king prawns, ikan bilis, salted peanuts, chicken wing and topped with an over easy egg. A healthier option to traditional fried potato chips is KPO‘s legendary Homemade Potato Chips ($15), made from freshly sliced potatoes and slow-baked for three hours. The chips have a crispier snap and are simply more tasty than regular ones. They are served with a trio of dips – Nacho cheese, chill and tomato salsa. 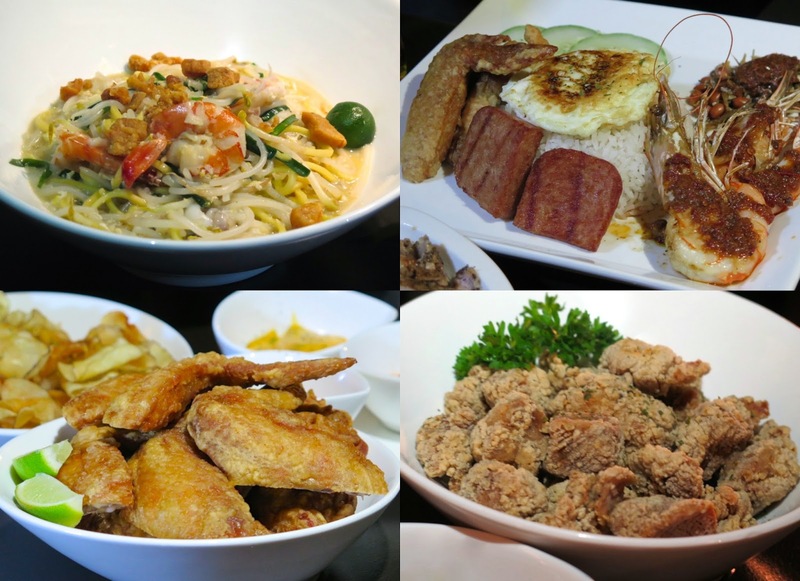 If you are best friends with pork dishes, KPO Cafe Bar serves up tasty pork centric dishes that you will surely enjoy. 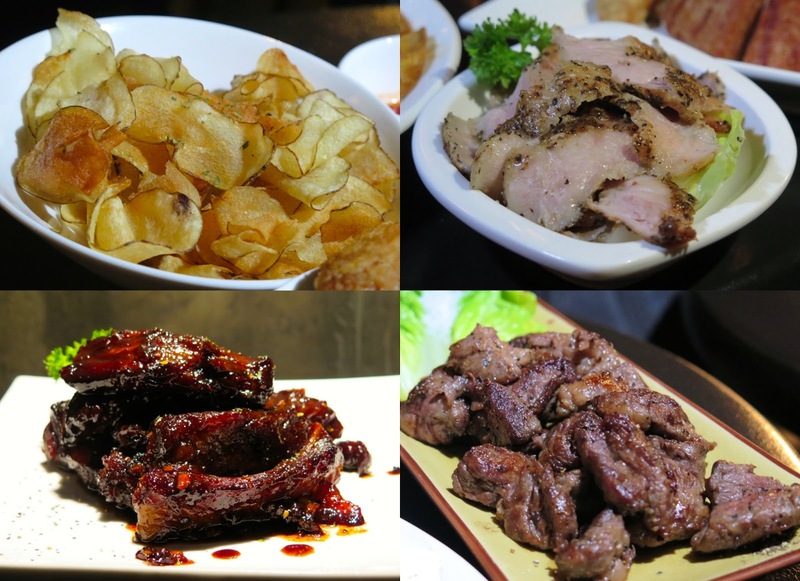 Pair your tipples with their Fried Pork Cubes ($15) served with spicy, dark garlic soya sauce; or the sliced stripes of oven-roasted premium Yorkshire Pork ($18); and if you like pork ribs, try the KPO Pork Ribs ($24) that has been marinated with secret-recipe sauce and charboiled to perfection. 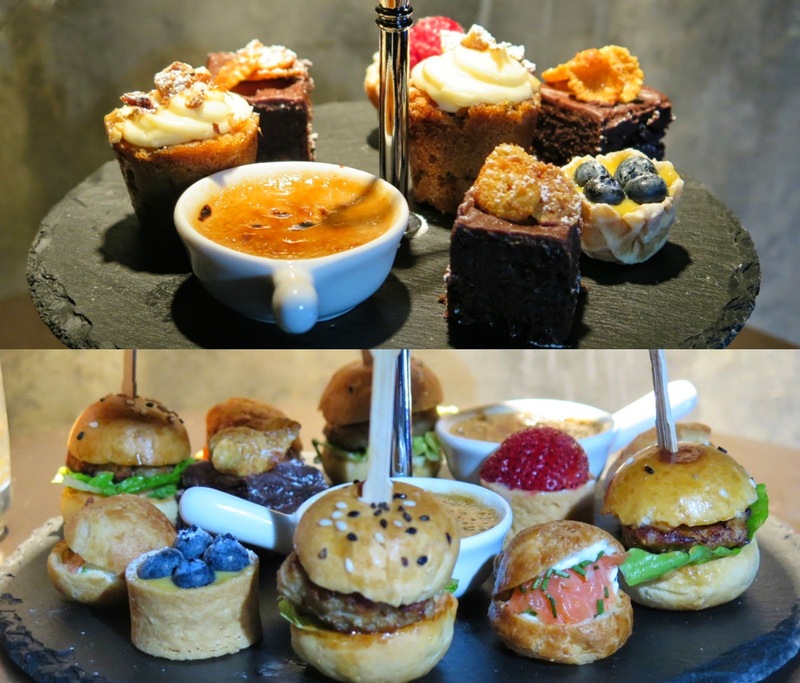 KPO Cafe Bar launched its inaugural Ladies Night Special on the 1st April 2015, featuring the first-of-its-kind high tea set comprising a selection of sweet and savoury canapés, Strongbow ciders, Strongbow Elderflower and Berries jelly shooters at an exclusive price of only $88 nett, recommended for 4 to 6 person sharing. KPO’s Ladies Night Special is available on every Wednesday, starting from 5pm till late with live music playing from 7pm. 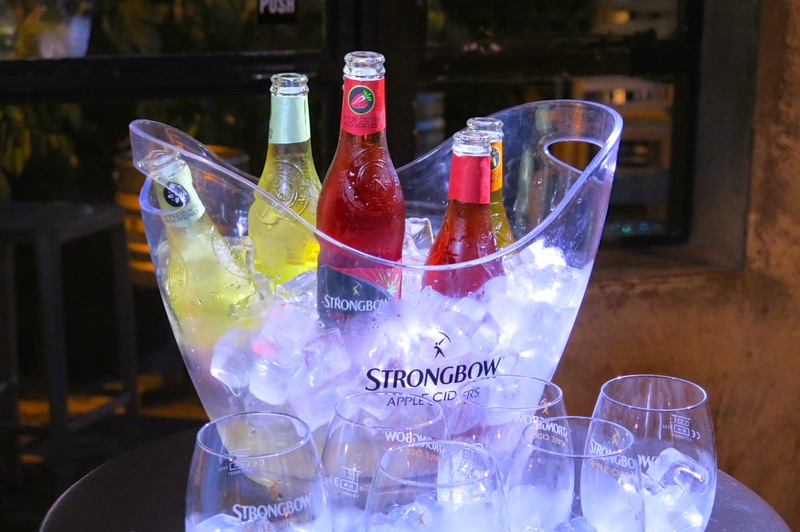 Ladies can also look forward to KPO‘s promotional deal of 1-for-1 Strongbow ciders at $14 nett. Fancy a special platter (worth $55) of KPO‘s signatures comprising their Wagyu beef cubes, fried pork cubes, calamari & prawn frits and pork & veal cheese sausage? 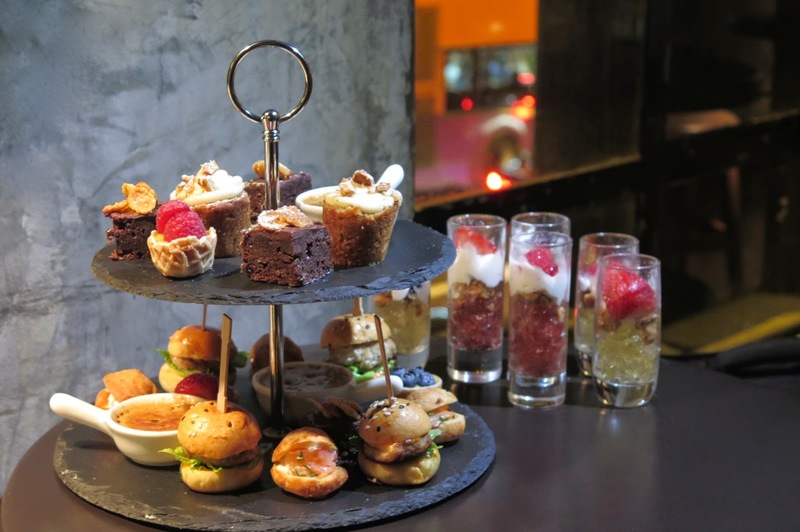 You can get the special platter complimentary on Thursdays with every purchase of two bottles of Chivas 18 Years at $450 nett. Adding variety to KPO’s dessert menu, get your hands on the Chocolate Praline Crunch Tart ($14) made with couverture chocolate, feuilletine, praline, hazelnuts and topped with fresh raspberries. Another noteworthy mention is the Japanese inspired dessert named Fusion ($14), a deconstructed homemade buttermilk vanilla cake with Hokkaido match ice cream, adzuki beans, chewy shiratama mochi balls, caramelized corn flakes and fresh berries. 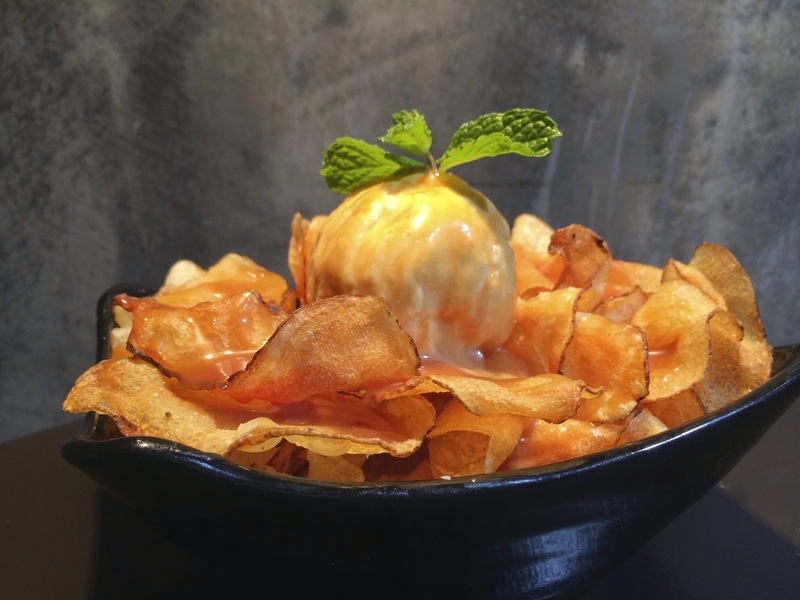 If you can’t decide what you want, simply go for the owner’s pick – Sam’s favourite Chips ‘n’ Cream ($14) using the wildly popular KPO Homemade Potato Chips, topped with a scoop of vanilla bean ice cream and drizzled with salted caramel sauce. For four straight years, KPO Cafe Bar has been lighting a talking point and lauding its achievements into its fifth year. The refreshed KPO continues to deliver muchos happiness to its regulars and preparing stints to draw more newer audience. So much to eat, so much to drink. Perhaps the best attraction is KPO‘s sincerity in offering good food and drinks at friendly prices. All prices stated above are nett and exclude taxes, you could do with another drink.